For almost 20 years, Isuzus have been the backbone of the delivery and collection fleet for Scottish marquee supplier, Tents and Events (Scotland) Ltd and the newest fleet addition, an Isuzu Forward 7.5 tonne dropside rigid, is now working along the two original ‘W’ reg Isuzu NQR 7.5 tonners that have been with the company since 2000. These two NQR’s are probably two of the longest serving Isuzus currently still in active daily service within the UK. The latest 7.5 tonner for Tents and Events (Scotland) Ltd is an Isuzu N75.190 rigid from Isuzu Truck’s successful Driveaway range of pre bodied vehicles and is fitted with a specialist dropside body. It is currently the fifth Isuzu to be working for this family-run business and has now gone into service delivering flooring and frames to events that are being held at venues up and down the Scottish West Coast, in the central belt of Scotland and as far north as Fort William. Tents and Events (Scotland) Ltd buy all its Isuzu trucks from local Isuzu dealer Imperial Commercials in Govan. Imperial has supplied the recent 2018 spec Isuzu 7.5tonner, which is expected to have an extremely long working life, in common with its predecessors. “We supply and erect marquees for a wide range of activities, from well-known regional events through to smaller local family functions, so the reliability of our transport fleet is essential. For almost 20 years now we have come to rely on our Isuzus and they have each given us excellent service. This year, we decided it was time to replace one of the first W reg Isuzus and without hesitation we returned to Imperial Commercials for the replacement Isuzu,” said Janet Fletcher, director, Tents and Events (Scotland) Ltd.
Tents and Events (Scotland) Ltd has recently celebrated its 20th anniversary, and originally started with a sole Argyll depot, based in Dunoon. 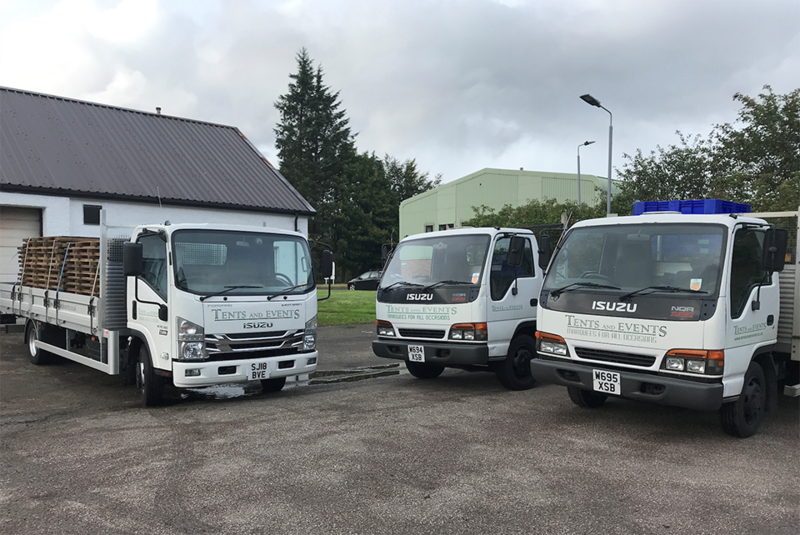 Four years ago, the Scottish marquee supplier added a second depot, based in Glasgow, and currently the company runs four 7.5 tonne Isuzu rigids with flatbed bodies and one additional 7.5 tonne Isuzu specified with a box body. “Our association with Tents and Events (Scotland) Ltd goes back to the very early days of Isuzu here in the UK and it’s pleasing to see how successful this family business has been for the past 20 years. 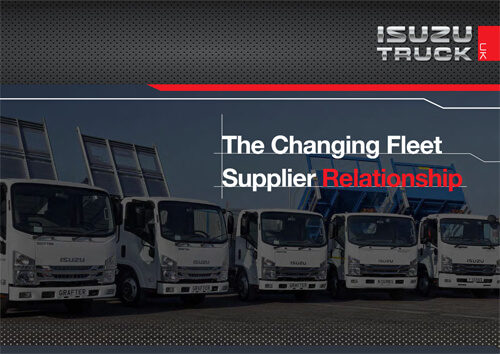 One of the key attributes of the Isuzu Truck brand is the proven reliability of our trucks and its fair to say that the original Isuzus in this fleet are testament to this particular product strength. It is only fitting therefore that, in their 20th anniversary year, the company has added one of our latest specification 7.5 tonners to its fleet,” said Richard Waterworth, head of sales, Isuzu Truck UK.